The City of Vancouver has begun rolling out empty homes declarations, asking homeowners to divulge whether their property in Vancouver is their primary residence, in preparation to start collecting the new empty homes tax. The forms are arriving by email and snail mail and ask homeowners to say whether their home is their primary residence, a secondary residence or rented out to tenants. Homeowners need to declare by Feb. 2, 2018 or risk automatically being charged a higher tax rate. 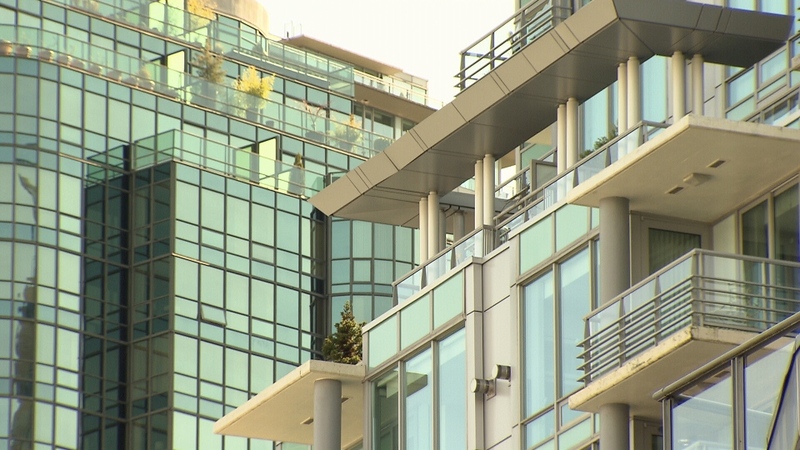 "This empty home tax initiative is all about creating more long-term rental housing and addressing the rental crisis that we have across the city," Mayor Gregor Robertson said at a press conference Tuesday. The city estimates there may be as many as 25,000 empty or under-occupied homes in Vancouver. Robertson said the tax is an incentive for people with investment properties to put those homes on the rental market. The new tax is one per cent of the property's assessed value. That's $10,000 on a million dollar home. The city says the declarations will be audited to ensure owners are telling the truth. While the tax comes after calls to address the housing affordability crisis in the city, some homeowners are calling the new levy unfair and are even taking the city to court over it. "We all have reasons to be here," he said. "I don't mind paying more taxes but I do mind paying an unfair tax." He says the city has an unreasonable definition of what they consider an empty or unoccupied home. Kaufman has been coming to Vancouver for the past 17 years—he usually stays from April-October. "We came up for vacation… and we just seemed to love it," he said. "So we went out and said we're going to buy a place for our retirement." He says several of his Coal Harbour neighbours have legitimate reasons for holding a second residence in the city—from grandparents caring for grandchildren to a patient undergoing chemotherapy to a doctor who frequently gets called into the city. Kaufman says he'll declare his home vacant on the form, but it may soon be for sale.